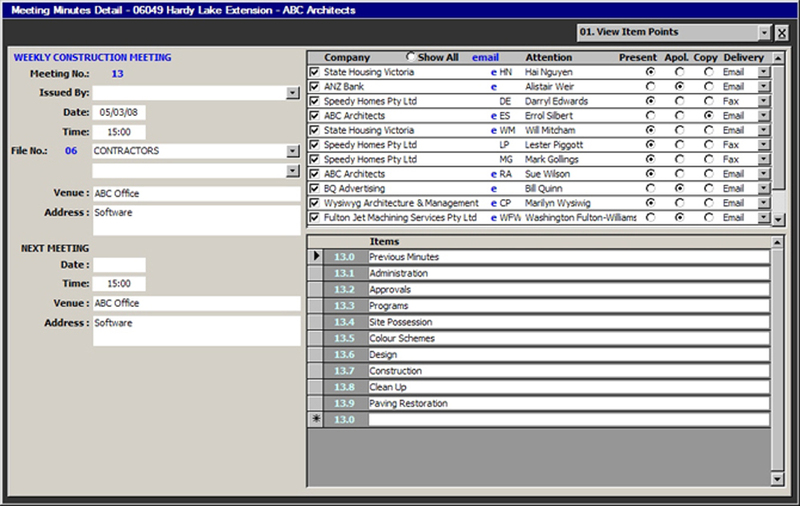 The Meeting Minutes module creates meetings in a two tier structure directed to the member of the Project Consultant Team. The module keeps a complete history of every meeting point within one structure allowing a printout of all meeting points. 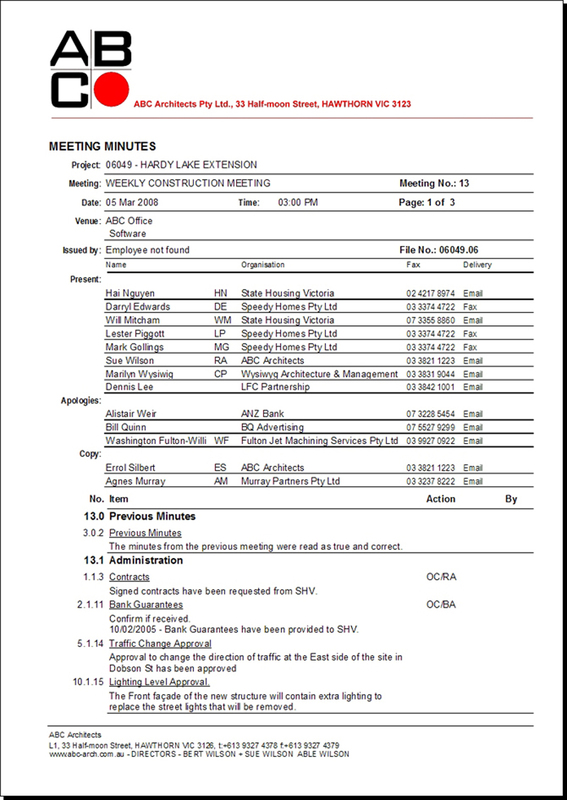 Any number of different meetings can be generated within the one project such as site meetings, design meetings, tenant coordination meetings etcetera The Meeting Minutes can be sent out directly to the recipient list by way of a PDF attached to an email drawn from the email addresses maintained within the central database.